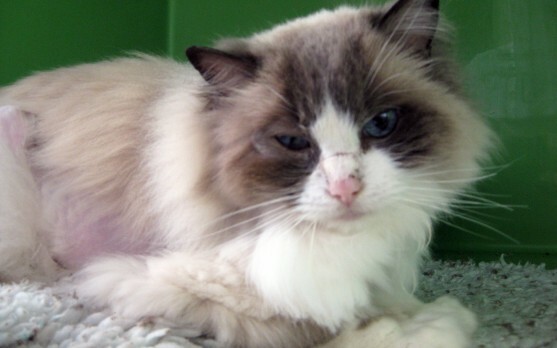 Twiggy is a Ragdoll female cat found lost and emaciated in a layby on a busy main road. Very weak and only days from death by starvation, the senior puss was driven straight to us by the van driver who found her. Severely dehydrated and with a terrible eye ulcer, she needed immediate medical attention and weeks of TLC at our South Cave isolation unit. Further tests showed that she also had an underlying heart condition, cardiomyopathy, which needs to be controlled with daily medication. 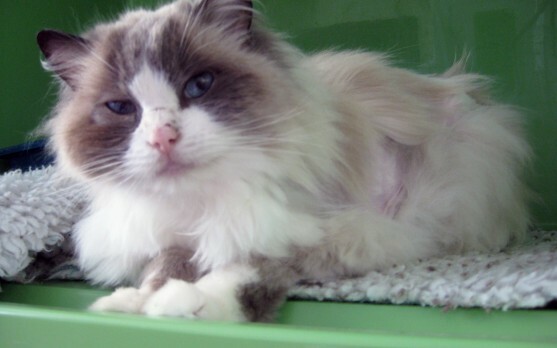 After months of care and veterinary treatment, Twiggy has since fully recovered from her ordeal, and now lives happily with her devoted foster carer and large extended feline family. Are you sponsoring a cat as a gift for someone? If yes please enter their details below and advise us if you wish us to post the card directly to them. 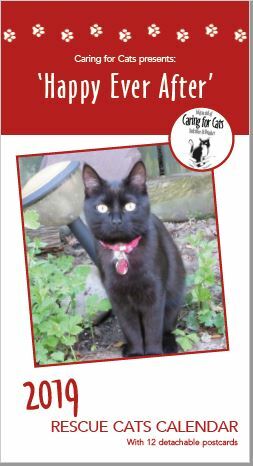 Cat sponsorship of £60 for a year or £5/month for 12 months. You will be redirected to the make a payment page to make payment once you submit this form. YES, I am a UK tax payer and wish Caring for Cats Yorkshire & Humber, charity number 1087921, to claim Gift Aid on all donations I have made since 6th April 2000, and all donations I make from the date of this declaration, until I notify you otherwise. Data protection act 1998: Personal information provided by you will be treated confidentially. Relevant data will be recorded on our database, which is processed by the charity in the administration and provision of information to supporters. Personal data about you is never used by third parties for their marketing purposes. GIFT AID: Under the UK Gift Aid scheme the Income Tax you pay on any donations given can be reclaimed by the charity. Once recorded by us you need take no further action for as long as you continue to pay UK Income or Capital Gains Tax equal to, or greater than, the amount we would be reclaiming. This currently gives us a further 25p for every £1 you give us, at no extra cost to yourself. So, if you are a tax payer and would like us to reclaim the tax from any money you donate, please tick the Gift Aid box and ensure you include your postcode. You can cancel this at any time by notifying us. Please inform us if you change your name or address or cease to be a UK tax payer. Council Tax and VAT do not count. Thank you.